Coaching, at its most influential. I could go on for hours on the topic of coaching, and over time I will. At the very least, I hope it will be interesting. So I’ve planned a series of posts on the topic. This is the story of how I got started as an “athlete”. Or, more to the point, how I became an athlete without really realizing it. And it’s all because of a coach. As a young child, I did like most of the kids in my neck of the Canadian woods: I played hockey. Although I was reasonably good, especially as a goalie, I only lasted 2 seasons. Somehow, at 5-6 years of age, I had to endure the politics of sports managed by grown-ups. So, no, the story does not feature that coach. In retrospect, hockey wasn’t my thing, even though I continued to play for fun, on ice and on snow-covered streets, throughout my childhood. But officially, I retired from hockey at 6, and spent the next few years mostly reading books. Until the end of grade 9, I was considered pretty much hopeless as far as sports went. Last to be picked at dodge ball, unable to swim to save my life, not able to score hoops at mini-basketball, no running endurance, etc. You know the type. All of that changed at the end of grade 9, when I showed up at a volleyball camp. You see, volleyball season was over, but the coach was setting up this camp in order to get kids interested for the next season. Through games and challenges, he got us to build some basic skills as well as have quite a bit of fun. One thing you need to understand already about this coach is that he cared about the long-term development of his teams, and the athletes thereof. I recall that it was pretty difficult. But the challenges were achievable. And then you’d move on to the next level. 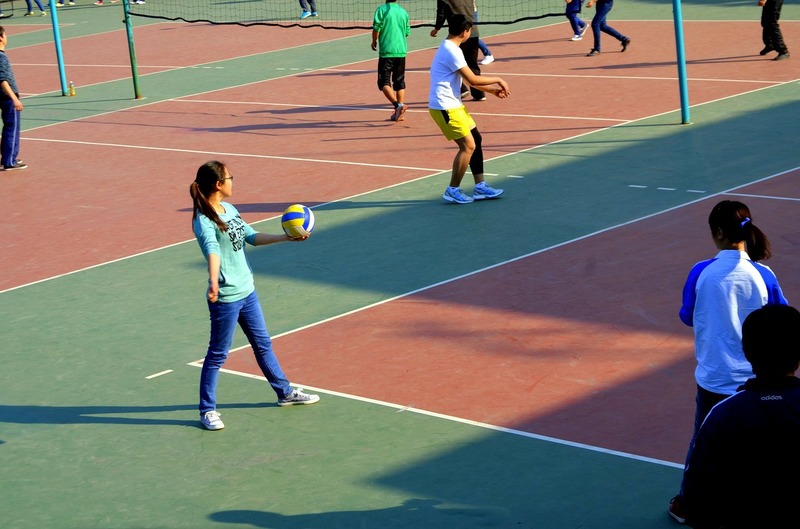 It was enough fun that when the next school semester started in September of my grade 10, I signed-up for volleyball. Me, almost the least athletic nerd around. At volleyball practice, however, it was all about rising to the challenges put before us by the coach. And having fun. Very progressively, he developed us into volleyball players. He knew what he was doing; so much so, in fact, that we didn’t have to do any more than show up at practice and do what he told us to do. In relatively short order, without really noticing it, I became one of the best players from a technical standpoint. I could not do much about my height, but I also compensated reasonable well by being fast and jumping higher than almost everyone else. And everyone around me was progressing, too. Some faster than others; yet everyone was gaining skills and fitness. If you are paying attention, you now also know that this coach was tailoring the training to the skill levels of his athletes, and making sure they could progress according to their own abilities. We, the would-be athletes, did not have to do any extra training, or even think about it: all we had to do was show up and do as we were told. Our coach did not need to motivate us to learn, or to show up for practice. We wanted to. Because he made it fun to be there, fun to learn. We had reasonable success in the local league that year, even though our large pool of players was split into two evenly matched teams, so that the entire league could have a full complement of 5 teams. When the next season came along, we moved on to the inter-city league. Now we were “big boys”, in grade 11, playing against guys that were older and much stronger (at first) than us. 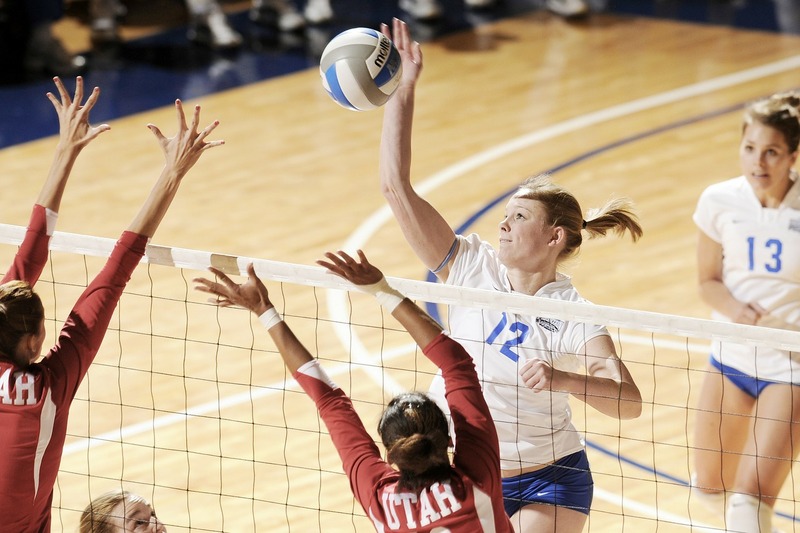 Through more playful challenges and gradual development of play tactics, for which by now we were getting ready, I moved from “the small guy on the team” to starting setter, challenging and, by mid-season, beating, the other setter who was a year older than me. The team, that year, went on to finish second in the inter-city league, and win the regional civil championship to earn a spot for the provincial championship. 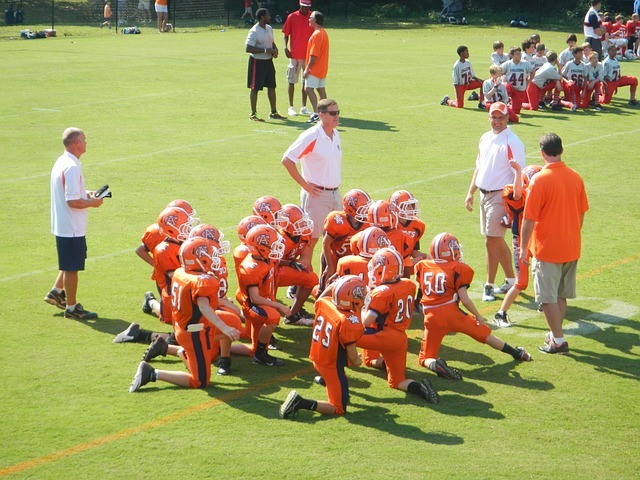 Our coach adapted tactics to the team we had; the unique blend of athletes we were, and the situations we were in. He had the right encouragement at the right time. He pushed us when it was time (we started serious physical conditioning only that year, for instance), and told us to let go when it wasn’t time to push. When he was upset, we paid attention. When he was pleased, he was able to make us all feel good. He was a friend, and a bit of cheerleader at times, but not all that often. For the most part, he knew his stuff, and he was extremely well prepared to guide us through planned training sessions that had both physical and technical development goals. No idle play, ever. No wasted time. Every drill had a purpose. Even the 4 on 4, 3 on 3, 2 on 2, and 1 on 1 games we played were challenges to build personal skills and team cohesion. And by then it was fun to challenge each-other that way. Are you getting the picture I’m trying to paint? 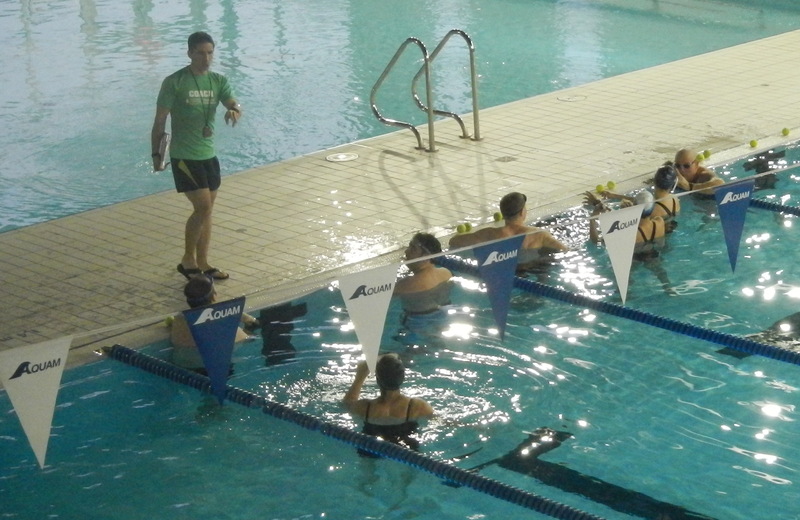 To reach high levels of performance, a coach is the way to go. As a side-story, by the beginning of grade 11 our coach had asked for help from us “athletes” to develop younger kids for future seasons. Some of us helped out, first by using or copying training sessions our coach would prepare, and later by applying the same principles and directing our sessions ourselves. That’s how I learned how to build a training session: by absorbing it, not by reading about it. He encouraged us to learn as much as possible, but did not push. Not everybody got involved. By the time I turned 16 and moved on to grade 12, my last year of high school, I was a certified coach and I had the responsibility of two local teams (about 20 kids, some barely two years younger than me). Oh, and I was the star setter of my admittedly small region. We never found a better coach, no matter how far or “high” we went in our sporting careers. Since that time coaching has been second-nature to me. You could say I learned well; I think I had an amazing example to follow. And it’s been hard for other coaches to live up to that. But that’s an entirely other story. One thing is certain: Learning to be a coach and coaching “the right way” has helped me through school (whether I tutored friends, or as a TA in grad school) as well as professionally (when it was time to train partners and resellers on new features, speak publicly, or simply give a presentation to colleagues). By witnessing, later on analyzing, and ultimately integrating how my coach was doing it, I was able to do the same in various settings. And that was the story. Next time, the lessons. Here’s a picture of something “Paleo.” But is it reality? This post is not what you think it is. Because the Paleo Thing, is not what you think it is. Bear with me. It will all become clear. If you are even remotely interested in health and fitness, you have heard of the Paleo Diet by now. Most likely than not, what you think you know about it, or what you have been told, is false. 1) For starters, we don’t know for sure what our ancestors ate on a daily basis. What we have is a picture, incomplete at that, of their overall dietary intake. We get this from the analysis of archeological sites dating back many thousands of years, and of human remains when they are available (and often much more recent if they are complete enough to provide information). To a lesser extent, we get some data from the current diets of so-called “primitive” people that somehow manage to exist in this day and age. So we have bits and pieces, hints scattered all over the place. And we “reconstruct” the most likely scenarios based on that. 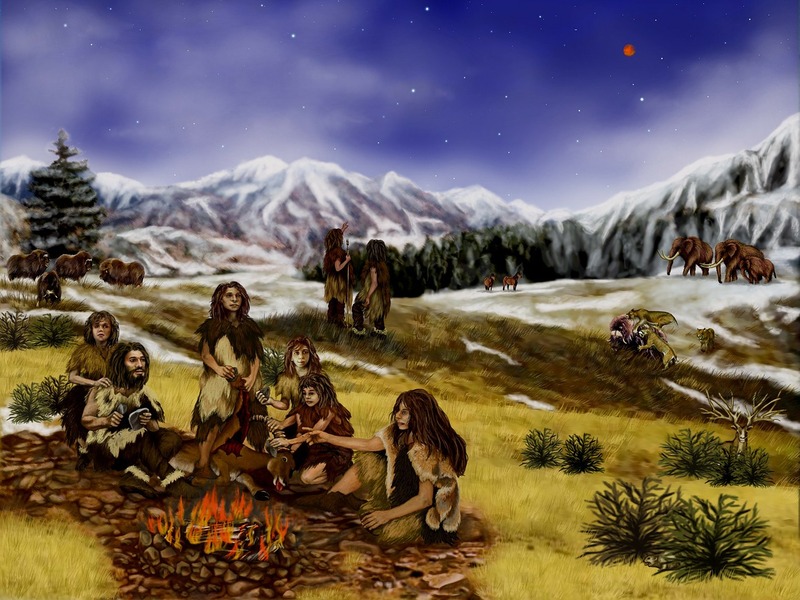 2) More importantly for this discussion, there is hardly any food nowadays that are still exactly the way they were when our ancestors of the Paleolithic were around. Over thousands of years of selecting, breeding, and, yes, engineering plants and animals, you can be certain that what you eat nowadays is related, but not the same, as what our ancestors ate. And if you go out of your way to select foods that have not been changed in some way, you are back to the first point I made: chances are very slim that those food items were actually eaten by our ancestors. You can be pretty sure that our ancestors, smart as they were, picked the foods they preferred when they started domesticating things. They would not have spent what little energy and time they had available on the things they did not enjoy eating. Now, given there is no such thing as a “Paleo Diet”, what is the big fuss about? There is another reason why adherent to the “Paleo Diet” get it wrong: They pretty much get stuck on the notion that diet is the key to healthy living. They moved more than we do. A lot more. Just eating well, whatever you call the diet, is not enough if you are entirely sedentary. On the other hand, moving a lot, even if your diet is less than perfect, makes a huge difference in your health and fitness to survive in this world. That’s why instead of a “Paleo Diet,” we had better embrace a “Paleo Lifestyle.” A lifestyle that puts emphasis on what contributes most to our health: movement. So I’m arguing we should embrace the “Paleo Lifestyle” by exercising and moving all the time. The “thing” in the “Paleo Thing” of the title is that when I talk about lifestyle, I do mean making choices about diet that make sense as well. Without being “Paleo,” the diet part is actually quite simple, and something our ancestors were indeed doing: eat real foods, mostly from plants, and as close as possible to the way they are found in nature. To put it another way: seek foods that are not processed, or that have been processed as little as possible. By the way, that does not mean raw food. Our ancestors had discovered fire for cooking well before agriculture. It also does not mean vegetarian or vegan, though there are excellent ethical and philosophical reasons to embrace such diets. But keep in mind that we are still physiologically very much like our ancestors. Incidentally, they were opportunistic omnivores, and ate just about what they could find as they moved about and over the seasons. That included roots, fruits, animals, plants, and even insects. At least, that’s the part of the picture that scientists are pretty sure about. I realize that even that, given our current society, is like turning back the clock on a lot of modern comforts and energy-saving technology. It is not easy. But does it make any more sense than pretending to be eating what our ancestors ate? At least we know for sure how our ancestors moved: they used their feet!